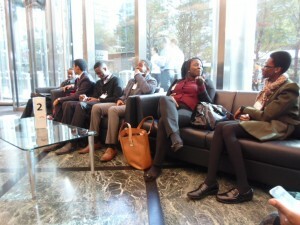 Canary Wharf, 30 October 2013: Smartly dressed, and with high expectations, eight ACD students embarked on a Business Skills Workshop day of thinking, dreaming, and marshmallows hosted by CitiRoots, the diversity network of Citi Bank, in Canary Wharf, London. The day began with team building exercises led by Mark Willis, former Citi employee, and director of Willis Peoples Solutions Limited. Willis warmed up the initially timid group with word associations games and light riddles. But the fun really started when the students were split into four teams (team Zeno, the ‘A’ Team, FTW, and Team Opportunistic) and challenged to build the tallest tower using the least resources of spaghetti and marshmallows. The teams set to work battling through the grind of different visions, communication styles, and participation levels. “I was sort of trying to outline what was in my mind, what I was trying to do so we could all work together,” said ACD Mamus Otuguor, whose team didn’t quite manage to get their structure off the ground. 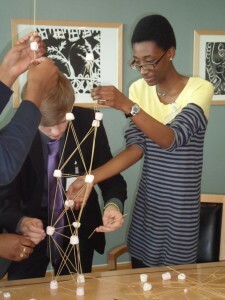 Team FTW finished the exercise with the tallest structure at almost 3 ft; however, cost effectiveness came into play. As each strand of spaghetti was worth £1, and each marshmallow £2, with the tallest tower, FTW also had the most expensive building and team Zeno, which had had the second tallest structure, took top prize. 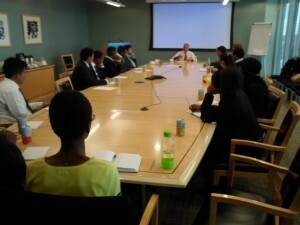 Students had a few moments to reflect on how well they worked in teams before they went into a session on Personal Effectiveness led by Amir Karimi, newly appointed Global Head, Client Delivery Operations, Treasury and Trade Solutions, Citi. Karimi encouraged the students to make the most of their abilities, energy, time, and talent in everything that they do. This mindset would be invaluable for future carers. “You can always teach skills and knowledge…you can never teach behaviour, attitude. You just can’t teach it,” said Karimi. 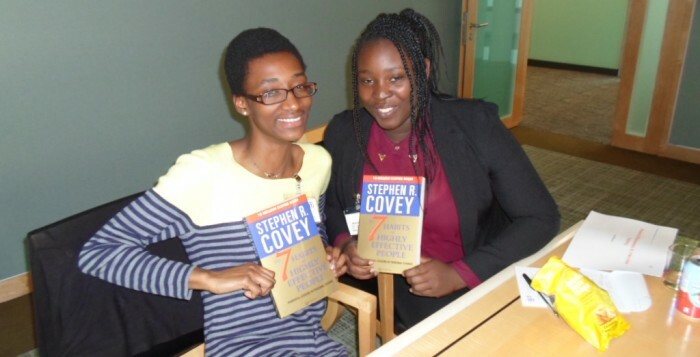 To affirm his lesson, Karimi presented each student with a copy Stephen Covey’s The 7 Habits of the Highly Effective People to take home. Students were really touched and were seen flipping through the book throughout the remainder of the afternoon. CV training and interview techniques came next with some role playing of how to conduct an interview rounding out the workshop. 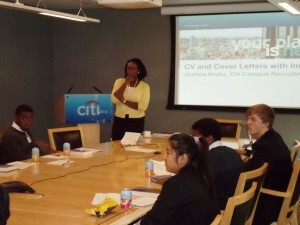 How do you craft a CV worthy of Citi? 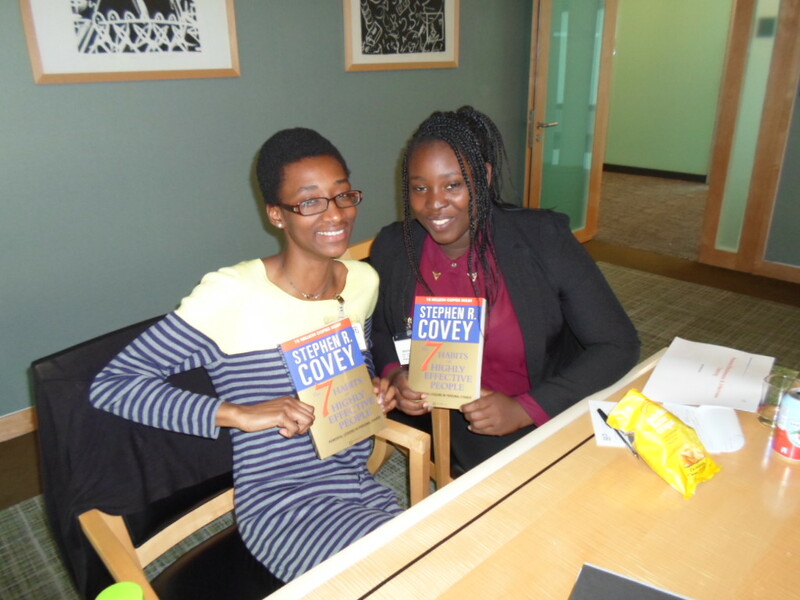 ACD was joined at the Business Skills Workshop by two previous Citigroup summer interns and four students from Summit Saturday School, a private school which provides tuition to students every Saturday during term-time. 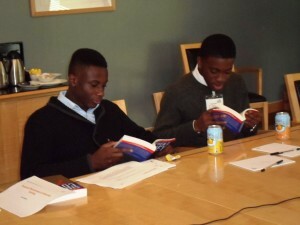 Even with the long schedule, all of the students maintained high levels of energy and attentiveness to the different speakers and volunteers from Citi. Reflecting on the day’s events, students said they would have liked more: a longer day, more interactive activities, and more seminars. 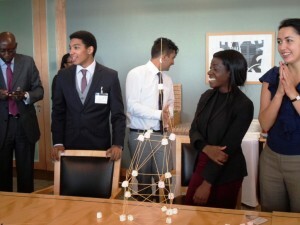 But while there would be no more workshops and marshmallows today, students who attended the event were told they would have the opportunity to apply for a paid internship at Citi next summer. Let the applications begin! Thank you Amir and CitiRoots! A special Thank You goes out to CitiRoots for all of their hard-work in putting together this fabulous annual event. See you all next year!